Pauline Ducruet is the 15-year-old daughter of Monaco's Princess Stephanie and the granddaughter of the late Princess Grace Kelly. Pretty Pauline and her 17-year-old brother Louis are the children of Princess Stephanie and former bodyguard Daniel Ducruet, who began dating in 1992, married in 1995 and divorced in 1996. 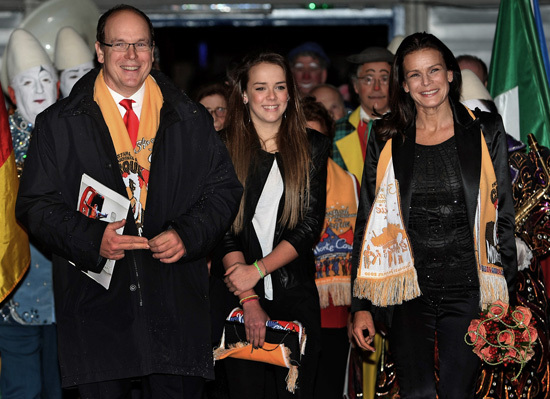 Pauline attended the opening ceremony of the 34th Monte-Carlo International Circus Festival in Monaco on Thursday with her mother and uncle Prince Albert. Photos below.